Food Adventures of a Comfort Cook: Twin Rocks Cafe is buff in Bluff. Twin Rocks Cafe is buff in Bluff. 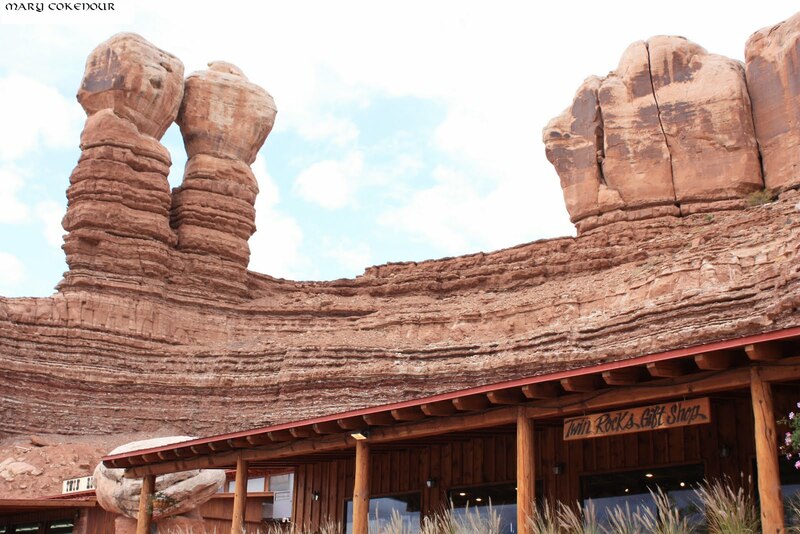 Traveling south on Rte 191, on the way to Monument Valley, you'll pass through a little town called Bluff. Known for its artisans and history, be prepared to be tempted to spend the day here. 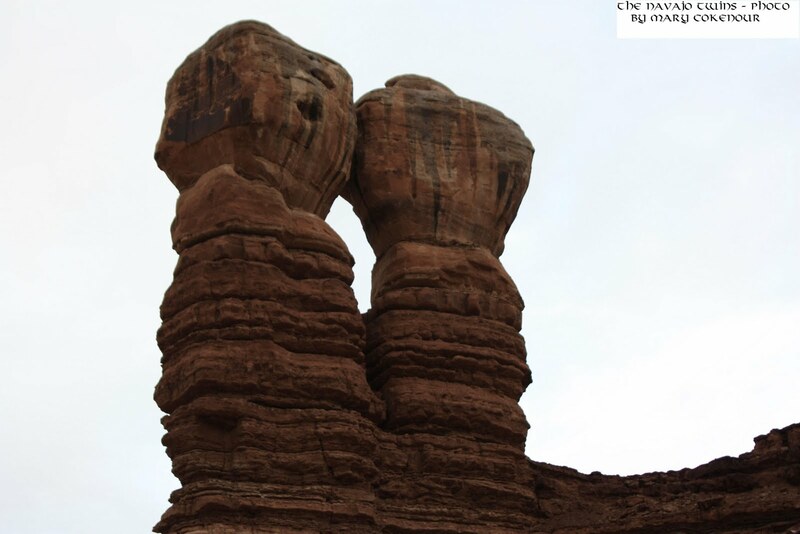 The town is also surrounded by rock formations that will take your breath away; one such being "The Navajo Twins". The Navajo Twins tower over the Twin Rocks Cafe, Gift Shop and Trading Post; and this is a must visit location while in Bluff. Entering the Cafe, dining is to the right while the gift shop is on the left. The Trading Post is another building next to the Cafe. Seat yourself and a friendly local will bring you your menus, place settings and take a drink order. There is also a patio area for outside dining. The menu (American, Native American, Mexican and a few International dishes) is small which allows the items available to be done correctly; the Cafe serves breakfast, lunch and dinner; there are also appetizers and desserts available. Since we arrived at 4pm, the lunch menu was still being served. 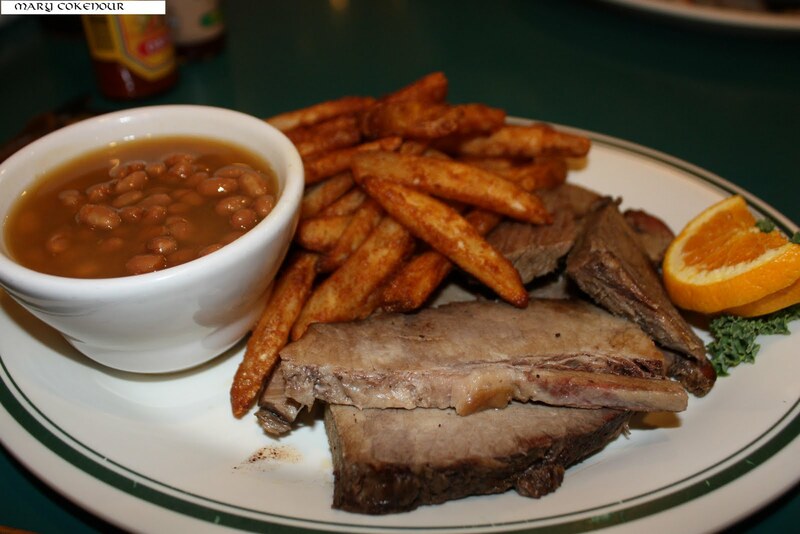 I chose the Smoked Beef Brisket which came with fries and baked beans. I also had a house salad with honey mustard dressing. All the dressings and sauces are housemade and are quite delicious. The honey mustard dressing was a stone ground mustard which had a hardy, yet comforting taste; not the overly tangy taste normally associated with a mustard dressing. The Brisket, alone, was smoky and tender with very little fat on it. The BBQ sauce had the sweet taste of brown sugar and a mild spiciness; the mustard sauce was tangy and vinegar strong (great for chicken). The fries were crispy outside, fluffy inside and the fry sauce went so well with them. The beans were not in the traditional thick baked bean sauce, but a thinner sauce and had great flavor. 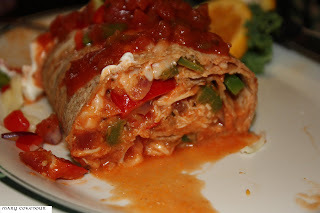 Even though the dinner menu did not start till 5pm, hubby had no problem ordering the Bluff Burrito from it. Loaded with chicken (or beef is desired), sauteed red onion, bell peppers, diced green chiles and Pepper Jack cheese, hand-rolled in a flour tortilla; served with salsa and sour cream on the side. 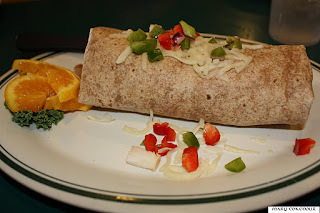 It is a monster burrito and the vegetables were crisp and fresh; with or without the condiments, it was delicious. Thankfully we did not order any appetizers, or we would not have been able to finish these delicious meals; and we were certainly too full to try any desserts. 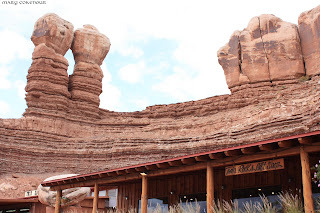 Again, when traveling to Monument Valley, make sure to visit Twin Rocks Cafe.